The UI design of PDFelement 6 can describe as bright spots. The style of Microsoft Office Word makes people feel intimacy at first sight. Editing, creating, converting, merging, batch processing and other functions can see in this interface at a glance. As the benchmark of the industry, Adobe Acrobat DC has a full range of functions. From DC interaction, you can see that DC wants users to have a good reading experience, and put a lot of complicated functions into the right side or the toolbar. If you are working on a scenario that is mostly editorial, you can find the features you needed by moving your mouse. For people who are not familiar with this software, of course, it may take some time to learn. Just like its Photoshop, it’s easy to get started with some video tutorials. The primary functions of PDFElement, such as view, comment, edit, page, form, protect, and help, are as shown in the figure. Each of its primary functions stored in the corresponding submenu. Note: The listed here are some of the standard functions that we usually use. The broad functions of their respective products are far more than those listed above. Adobe is an industry benchmark, and it is genuinely unrivaled in functionality. 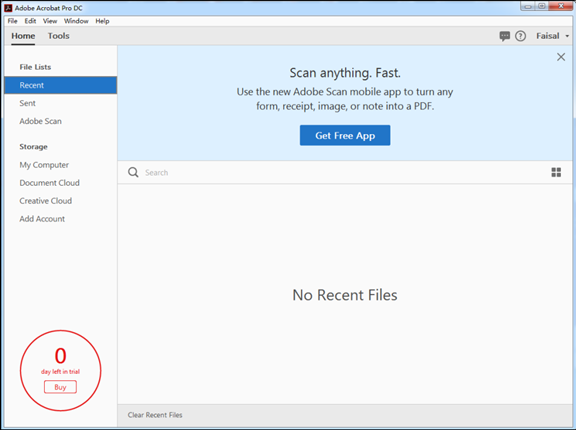 Due to the limited space available here, more features about Adobe can found here. PDFelement is available here . In addition to the features, here, I also mention the other amazing details of PDFelement. It not only can identify form areas with one key but also can identify data and generate form documents. This is a big “gospel” for users who are dealing with PDF forms in large batches! In the past, users often felt helpless when faced with forms in PDF format. They often had to work hard to record the numbers in the documents one by one with new Excel spreadsheet, which consumed a lot of time and energy. Now, users only need to “check” the content of the form they need to extract, and then hand the time to PDFelement. 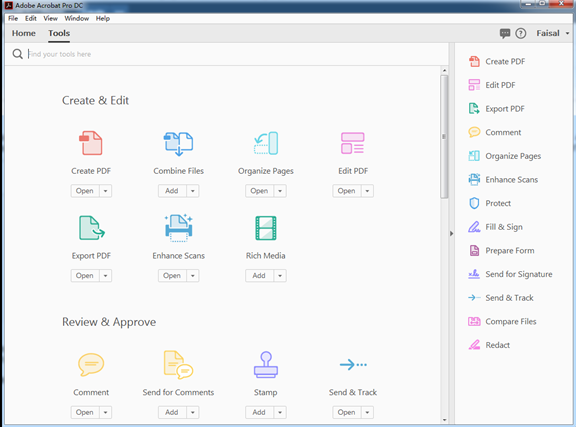 After a few seconds, they will automatically generate a new editable document (Excel), which is very convenient! This feature is a great revolution for users. 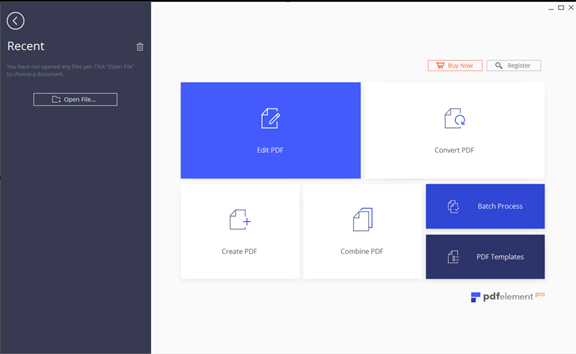 It can help them process large-volume PDF forms in a short period, significantly reducing the time they spend processing documents. Of course, this function is Native PDF (directly generated from other document formats) is the most uncomplicated operation. So, what happens when a user encounters a picture-based PDF (scanned document)? In real life, many SME users often encounter such problems. They need to enter paper invoices into the form, but manual entry costs high, inefficient, and very inconvenient! What should they do about this time? Do not worry; you can use the PDFelement batch scan, OCR character recognition technology, you can still batch data extraction. All of this has benefited from a series of critical breakthroughs made by Wanxing Technology in the data extraction technology, which has changed the common problem that the common PDF software has a single function and low character recognition rate. 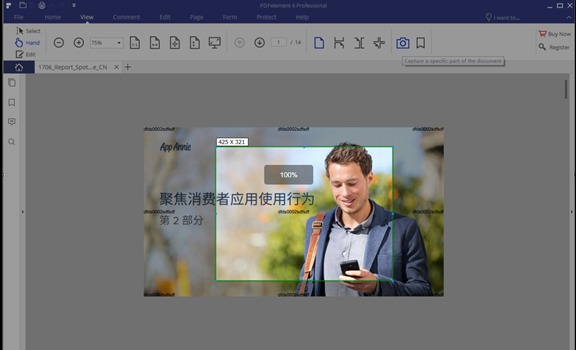 By improving and upgrading the form field recognition technology, PDFelement 6 further consolidates the superior position of Wondershare in PDF editing. This is another eye-catching feature. Sometimes users need to use a multi-page PDF document to create a long micro-blog or an extended picture of information to share or spread, and this function is perfect. It is very convenience. Copying and pasting pages is a standard function during document operation. 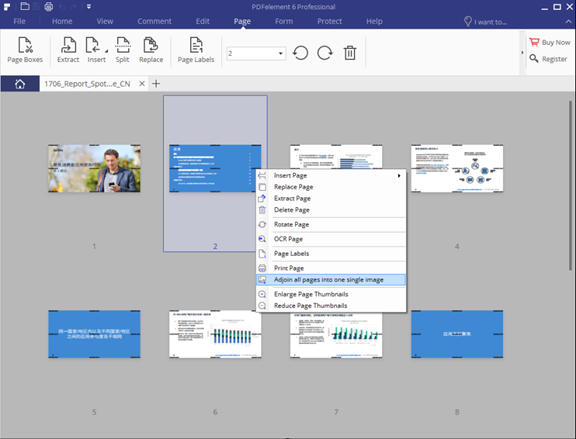 Copy and paste between pages such as PPT. You need Ctrl+C and Ctrl+V, which is not particularly convenient. In the PDF software, there are not many functions with a screenshot. When you operate to a certain point, you can directly click the screenshot button, and it will be very convenient to intercept the picture you needed. Drag and drop is an ordinary operation that we use during daily document operations. When you are browsing multiple documents, dragging and dropping content from one document to another is straightforward. PDFelement adds a form function to the product. The user can efficiently use the form template function. When you select a favorite form, you can use it directly. At the same time, you can use the form automatic recognition function. A ready form can prepare. It is not very efficient. Remarks: Although the price comparison between the two products may seem to be very different, it depends critically on their own needs. Acrobat has always been the benchmark of the industry. It has a mature pricing model (including monthly subscription purchases), but when you do not use it, remember to cancel the subscription in advance to avoid unnecessary losses. If you are consulting a large number of business orders, of course, both products can provide direct sales contact to purchase and receive a substantial order discount. There is no doubt that Adobe PDF Editor is an excellent PDF editor  that sets a very professional standard for the PDF industry. It has a top-level and colossal function system that can help users perform other basic functions such as editing, commenting and conversion. If your company does not need to consider price-performance and learning curve, Adobe Acrobat must be the first choice. However, due to the challenges caused by strict licensing policies and the frustration of users with bloated functional and performance issues, most individuals and SMBs are also looking for alternative solutions. Some lightweight, fast, and cost-effective PDF solutions have also emerged as alternative candidates.